Description: Early NES games had cartridges that used 5 screws to hold them together instead of the more common 3 screws found in most cartridges. Most 5 screw cartridges were later re-released using 3 screw cartridges, although some are only available as 5 screw cartridges. 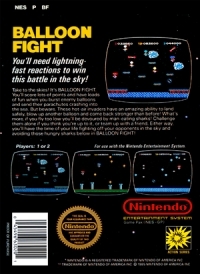 This is a list of VGCollect users who have Balloon Fight (5 screw cartridge) in their Collection. 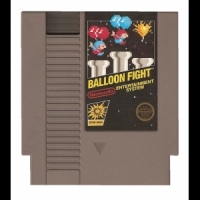 This is a list of VGCollect users who have Balloon Fight (5 screw cartridge) in their Sell List. 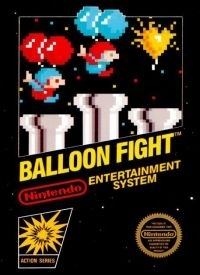 This is a list of VGCollect users who have Balloon Fight (5 screw cartridge) in their Wish List.